The weekend Lift & Co Expo highlighted Canadian innovation and entrepreneurial spirit at the Vancouver Convention Centre. Over 200 exhibitors and 100 speakers traded ideas and brainstormed for a sustainable cannabis future. And while the clouds of criminalization have blown out of the Canadian sky many exhibitors were still anxious about having their names appear in print. “You know, if I ever wanted to travel to the States,” said one exhibitor with an apologetic shrug. Still, prohibition has ended in Canada and the cannabis industry is booming in this new era. Sustainability and ways to innovate the market were major themes throughout the expo, as well as rebranding the once stigmatized devil’s lettuce. Here are ten hot topics highlighted at the conference over the weekend. What if cannabis cultivation could also produce a rich protein source for food banks? Green Relief partnered with Rafterra Global to create the only licensed producer of aquaponic cannabis in the world. 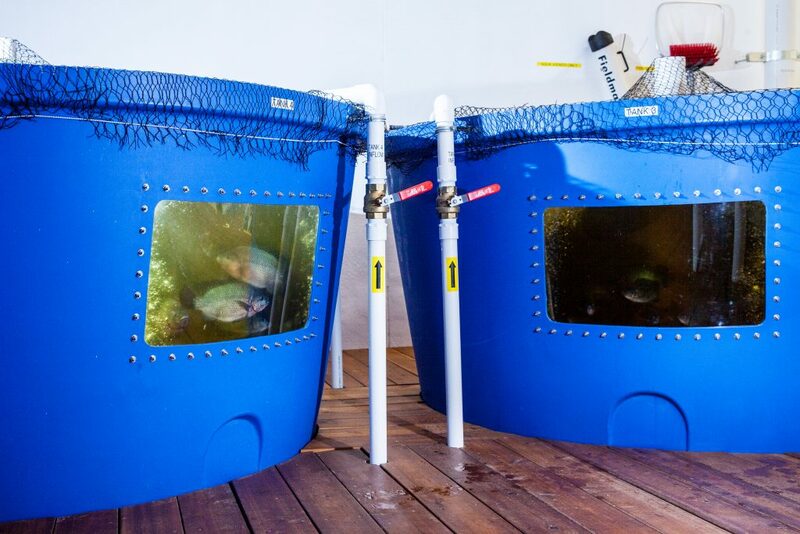 It is the integration of an aquatic ecosystem of tilapia fish and the hydroponic system of cannabis to create an eco-friendly soil-free form of agriculture said Rafterra Global Director Steven Bourne. 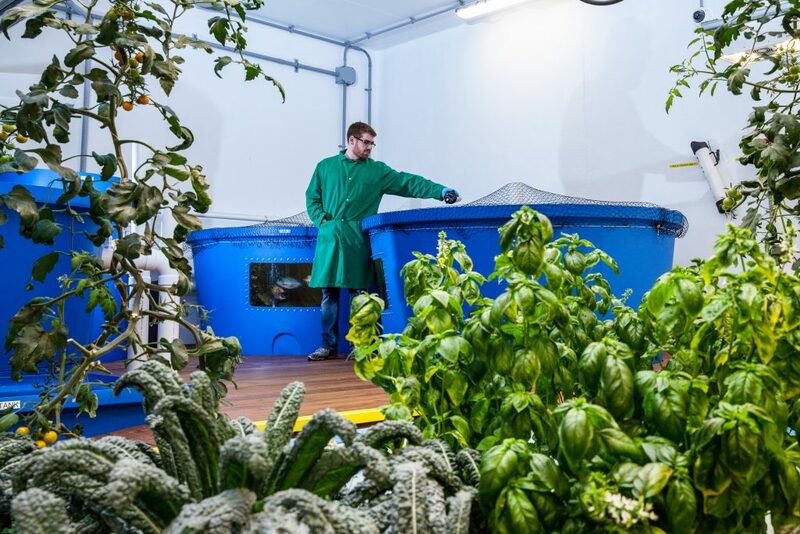 The closed-loop system collects the fish poo, feeds it through a bio-filter of microorganisms and bacteria which turn the waste into rich nutrients, feeds the nutrient-rich water to the cannabis crops and then returns the water to the fish so the cycle can continue. “We actually have living water in our ecosystem and at Green Relief that water is about two-years-old,” said Brandon Herbor, also a director at Rafterra Global. At the end of the tilapia’s life cycle the fish are donated to Second Harvest, a food bank in Toronto. That earns the company a tax credit of $12 per head, which means the fish not only act as farmers fertilizing the crops but also pay for themselves, said Bourne. The donated fish have contributed to 40,000 meals so far he said. “We are actually feeding people with cannabis,” said Bourne. Green Relief currently has around 6,000 fish and 30,000 square feet of growing space. As well as using all-natural fertilizers and 90 per cent less water than traditional agriculture, the crops are also increasing yields and growing bigger buds said Herbor. The winners of the Start Up Pitch Competition, hosted by Lift & Co and Leaf Forward, were a trio who created an innovative way to save air filters from the landfill. Blade Filters redesigned the traditional carbon air filter used by most growers and cultivators in indoor or greenhouses to have a replaceable carbon cartridge. Most traditional filters must be entirely thrown out every eight months when they need to be replaced. That’s similar to throwing out a printer every time the ink runs out, said co-founder Giancarlo Sessa. Except for cannabis producers, the printers are expensive pieces of equipment ranging from $130 to $500—and you can bet most licensed producers in Canada have more than one filter going at any time. Sessa, along with co-founders Joseph Fida and Aedan Fida launched Blade Filters at the start of this year. “The joke of the cannabis industry is that cannabis is not green. We are changing that one filter at a time,” said Aedan Fida. Blade Filters are the same size and fit as other traditional filters, but when the time comes to be replaced a new carbon cartridge costs 25% to 30% less than an entire new filter and installing the new cartridge takes five minutes instead 30 minutes for a new filter. The team currently are taking pre-orders for smaller units and working with LPs on pilot projects. To celebrate their Friday victory the team said they were heading to all-you-can-eat sushi. Anyone who has worked with a point of sale system knows it can be your biggest asset or greatest liability, especially when starting a new business and training a new team, as most cannabis retail stores are right now. Albert Kim is the CEO and co-founder of Greenline POS, a system built from the ground up by Canadians for the Canadian cannabis market. Combining inventory management, sales, front-of-store, your dashboard and more, the system also tracks and produces accurate compliance reports for each province’s unique laws and regulations. For example in Saskatchewan, explained Kim, sales of cannabis oil must be reported in litres while products like extracts and flowers must be reported in liquid and solid grams. Greenline is designed to track, report and produce compliance reports at the touch of a button—a task that otherwise takes businesses three to seven business days said Kim. The cloud-based service costs $500 per month and comes with real-time assistance and monthly free updates. 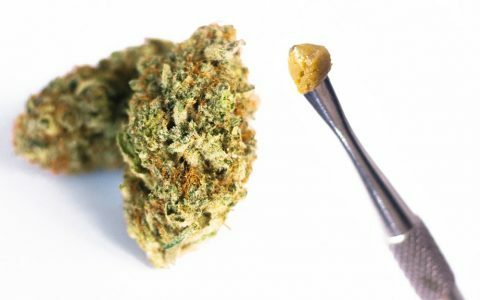 Medicinal cannabis users have remained loyal to their original providers rather than switching to recreational weed after legalization according to Beacon Medical, a medicinal cannabis provider. 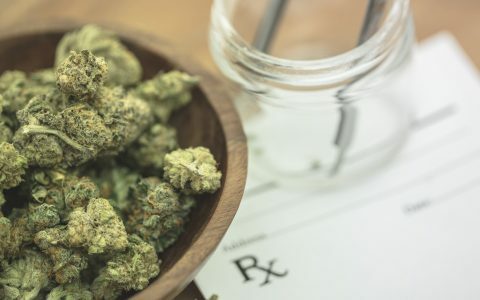 The company surveyed 500 of its customers after legalization and found only 2% decided to switch to a recreational supply said Beacon Medical Marketing Director Desiree Brassard. To access medical cannabis Canadians need to fill out a Registration Application and then have a medical professional write them a medical document, which works as a government-recognized cannabis prescription specifying recommended dosages said Brassard. Potential customers could fill out the form and chat with a healthcare practitioner via video chat at Beacon Medical’s exhibition space to streamline the entire process. 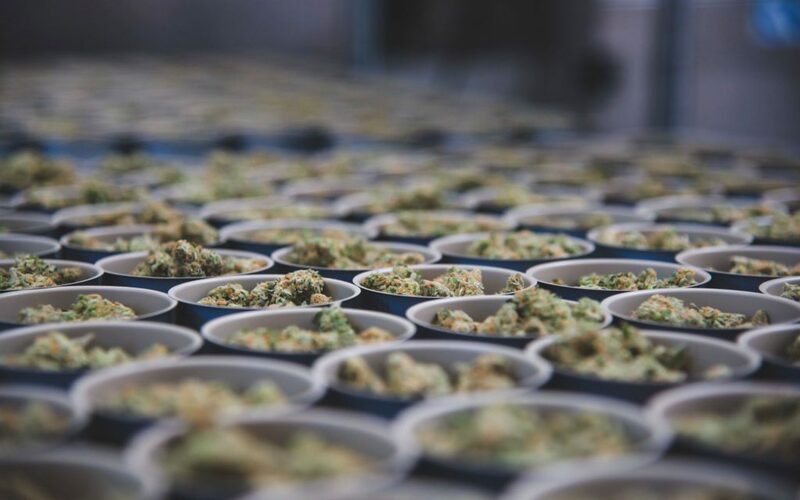 Beacon works hard to simplify the medical cannabis industry for its patients and that is a large part of why the company has retained so many of its customers said Brassard. 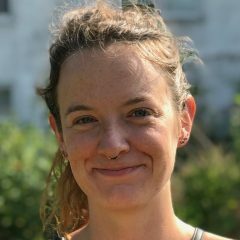 That, and patients tend to trust medical cannabis more (though she noted medical and recreational markets are held to the same government standards) and medical cannabis can be somewhat cheaper. Gone are the days of cannabis products marketed solely towards Cheech and Chong stoners—the new cannabis aesthetic is one of minimalistic pastel labels reminiscent of yoga studios and artisanal olive oil. 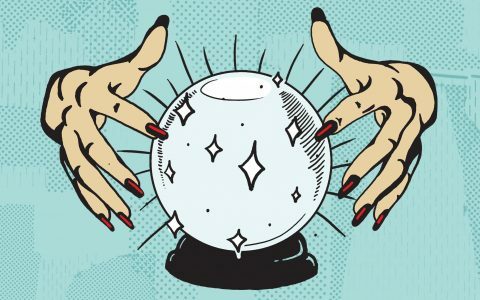 It is a move to capture new audiences who would be intimidated by their lack of understanding of sativa versus indica or the joys of Pink Candy Kush explained Sundial’s Vice President of Sales Nico Sablowski. Sundial breaks its products into categories such as calm, flow, or lift to aid customers through the selection process. The company works to build consumer confidence till they can make an informed decision whether to reach for a glass of wine or some calming cannabis at the end of a long day said Sablowski. As an LP with 545,000 square feet of growing space in Calgary, the company is still working on building a customer base before expanding beyond their two Alberta facilities he said. Nitrotin is a canning company for cannabis, keeping buds fresh till you are ready to crack a green one. Just like a can of tuna, Nitrotin comes with a pull tab, an extraordinary shelf life and is 100% odour proof said Nitrotin Vice President Eric Marciniak. It is also highly childproof, tamper evident, and 100% recyclable he said. The company uses a drop of liquid nitrogen to push all of the oxygen out of the can before sealing it. Keeping the cannabis in an anaerobic environment means it won’t lose flavour, terpenes or its freshness over time said Marciniak. This is a similar process to how beer, wine and water are kept fresh in their bottles he added. Green Tank is a vape design and manufacturing company who thinks cannabis flowers are so yesterday. Corey Koffler, Green Tank’s co-founder, and COO, gave a talk on the rise of concentrates at the expo where he predicted the concentrates industry in 2020 would be worth $8 billion in retail sales. “Vapes will surpass flower sales,” said Koffler, which is why his company is working on innovative ways to ride the concentrate wave. Koffler criticized the current vape market, which is built around tobacco but being used for cannabis. The two concentrates have different thicknesses and should not use the same heating methods he said. He also emphasized sustainability. Green Tank currently offers the GT Falcon, which is made of materials that could be collected by the distributor, recharged and reintroduced back into the market as a recycled product. Green Tank is working on a fully recyclable vape to combat the highly popular disposable vapes which currently dominate the market said Koffler. Currently, the company operates only in the USA but hopes to move north once concentrates are legalized in Canada. The expo was all about the new and blooming legalized industry in Canada, but one of the speakers was advocating for increased regulation to improve innovation for cannabis. David Hurford has worked in senior roles at all three levels of government for 20 years and helped develop the original medical marijuana regulations in the late 1990s. Hurford was part of the Leading Edge Cannabis Innovation Presentations on Friday, where he called on the government to stop looking at CBD and THC through the same lens. Canada could risk losing its competitive edge against USA producers if the government fails to understand how THC and CBD can create entirely different products, said Hurford. He also called for stronger regulation around cannabis extraction for the safety of the consumer as well as the worker. “Small producers innovate by nature,” he said, crediting people from all over BC for creating BC Bud. But Hurford also warned how the government is stifling small producers out of the industry and needs to work to facilitate their growth through regulation. 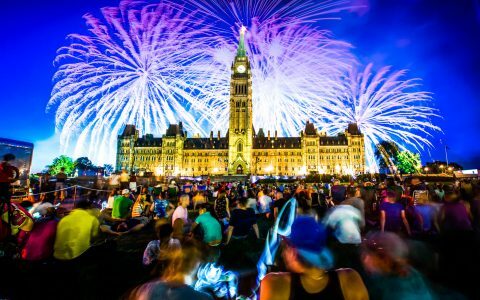 Canadians can help by being educated voters in the upcoming election year and asking potential politicians about job creation, regulations, and rights for cannabis businesses said Hurford. Licensed Canadian cannabis crops may be new but technology to harvest the plants has its roots in the 1940s. MUNCH Machines makes industrial-grade farm equipment for the cannabis industry that can rip through 1,000 pounds of harvested and bucked cannabis in eight hours using only one machine and three workers according to the company website. That’s 125 pounds per hour. The company grew out of Dauenhauer Mfg who first invented mechanized hop harvesting and revolutionized the hop industry 75-years-ago, said MUNCH Machine Managing Director Bill Belcourt. The Mother Bucker machine can buck wet or dry crops, is made of food grade stainless steel and is made in the USA where the laws around cannabis are a whole lot less complicated joked Belcourt. Prices range from USD$19,900 to USD$32,500, are available for indoor or outdoor use models and can easily fit through a standard door frame he said. In the extraction industry, Vitalis Extraction Technology is who you call the big tuna. It is a company started in 2016 when innovative business minds collided with engineers from the oil and gas sector and started developing industrial-scale CO2 extractors with high flow rate, high volume and the ability to operate 24 hours a day said Marketing Manager Patrick Beckerton. Working business to business Vitalis designs, manufactures and services their certified machines. “You don’t put plant material in one end and get gummy bears out the other,” said Beckerton, but you do get a crude oil which is extracted gold. Evolved Extraction was another extraction company at the expo who currently market to craft growers rather than LPs. “If you want a CO2 system you are looking at equipment worth a quarter to a half million dollars versus $50,000 for a butane system or even less for something smaller scale,” said Evolved Technician Geoff Draper. Their focus is on safe and easy to use equipment for producers who do not necessarily have a chemistry or engineering background said Draper. Or, at least, their machines are easier to learn how to use and have a smaller learning curve he added with a smile. 5. the sale of toxic, legal MJ now enters its second quarter, with no regulatory oversight by Health Canada or the Government of Canada (e.g. how is Canada’s Ministry of Agriculture not involved???). The message from Canada’s neoliberal BS artists is clear: THIS IS ONLY AS FAR AS WE ARE WILLING TO GO TO PROTECT public health. Add all that to the existing “black market” (e.g. folk market) and you have metastasizing criminality! “Still, prohibition has ended in Canada and the cannabis industry is booming in this new era.” How, exactly, has prohibition of MJ ended??? Can you consume MJ in a restaurant, over a meal? Can you consume it in a bar? Can you legally consume it outside? Does buying it with a credit card affect your employment opportunities? What about admitting to consuming it, does that affect your employment opp’s? Can you consume Mj in front of children? If you live in Manitoba or Quebec, are you even permitted to grow MJ??? And, BTW, IS THE CANNABIS INDUSTRY BOOMING??? Stocks have never stabilized, hostile A&Ms more accurately reflect the last, awful days of the dotcom bubble. Where is this so-called profitability? Especially in light of “fictional” market cap. positions published by LPs, leading many industry analysts to conclude these firms will never pay off (e.g. look at issued shares, and estimated returns).